The panels start coming together – a sneak peak! 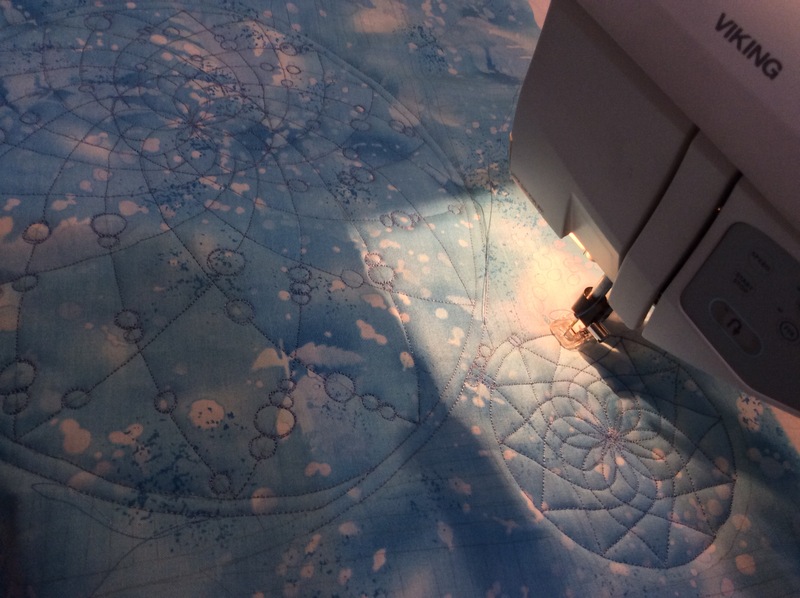 After mulling for ages over what to do in the centre square panel of my Dreamcatcher quilt, I finally made up my mind. Some of you may remember my original plan was to do the Endless Love whole cloth quilt pattern by Geta Grama. However, that is such a beautiful and intricate pattern, that it would have become the centre (literally!) of attraction, taking away attention from the pieced quilt blocks. 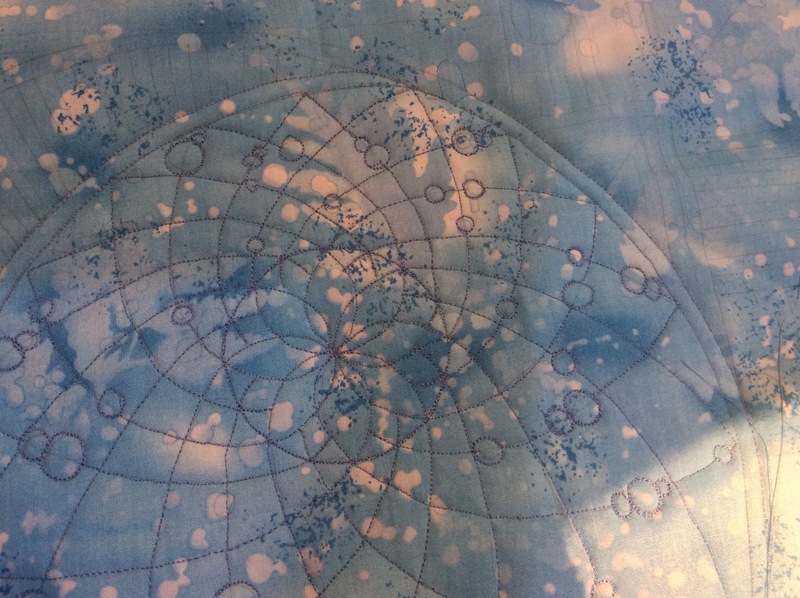 The pattern has two hoops; the larger is a ‘moon dreamcatcher’. I love this design, but getting here has been a nightmare! First, it took me 7 drafts and nearly 15 hours spread over 3 days to get it like this. Then there was a problem with the drafted pattern and it wouldn’t print! You do know I draft my patterns on the free Quilt Assistant software, don’t you? Arnout Cosman, the designer of the software, was so very kind and offered to look into the problem when I wrote him. Well, after trying out various things, I managed to get a print out after another 2 days and was ready to trace it on to the fabric. That is when it was discovered that the fabric had frayed a bit, and the original 18.5″ square was no longer so. No problem, I had some of the Fossil Fern fabric lying around. To be on the safe side, I folded the fabric and cut a 19″ square from it. Would you believe it, I had cut it wrong??? It was 17″ x 19″! The first time in my life I make such a mistake and that with my last length of fabric in that colour!? I debated joining a strip of fabric; had it not been the centre I would have not thought twice before doing it. The only solution was to tell my son in the US of A to send me more of the fabric. It would arrive only in December. This was yesterday. Today morning I took out the less-than-18.5″-square, starched and ironed it stiff as paper, tugging it to stretch it. 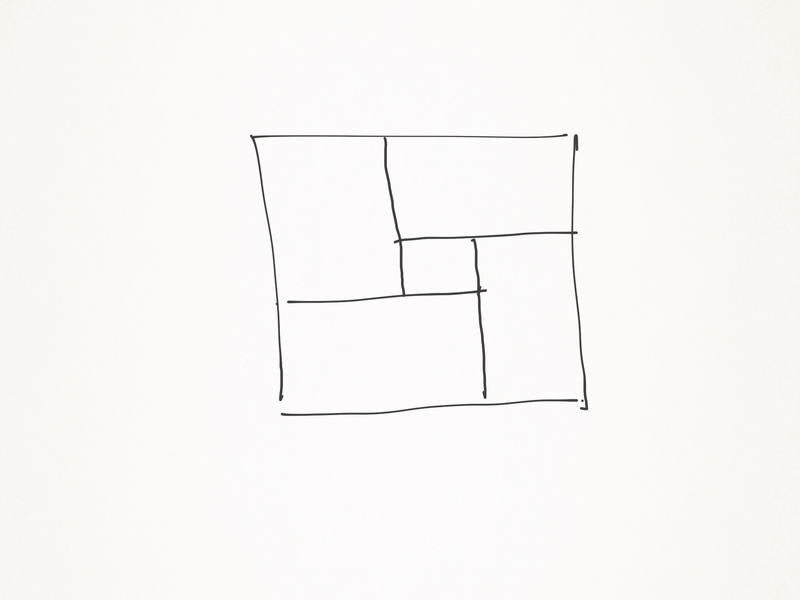 Pure delight – I ended up with a 18.6″ square. The pattern was traced, the batting and backing cut. You can be sure I measured a dozen times before I cut either! And so here we are. The Goddess of All Things Quilty ( or was it Asibikaashi?) has finally smiled and I hope She will continue to do so when I start putting the QAYG panels together. Just in case you are wondering what is so nightmarish about the panels, let me show you a diagram. 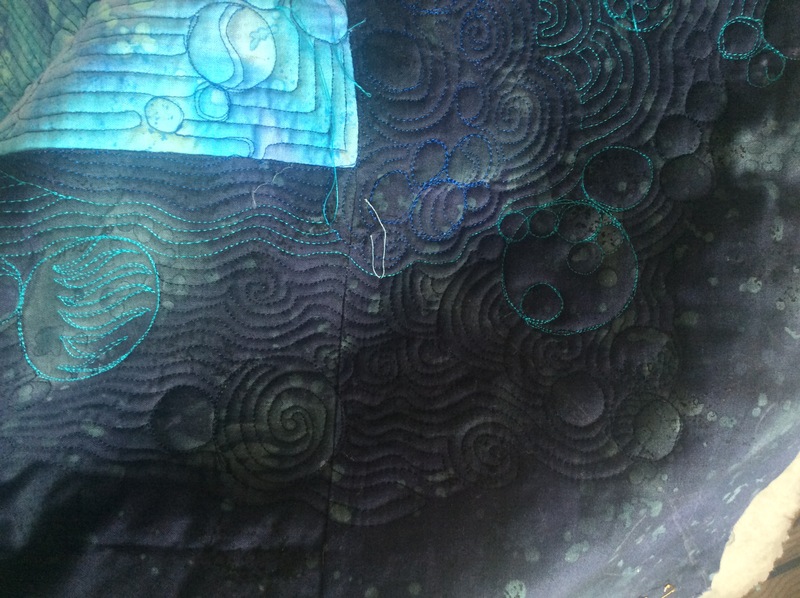 The layout showing the five quilt-as-you-go panels which ‘nest’ into each other. Yes indeed – just what was I thinking? Nested seams in quilt-as-you-go panels which will be joined without a sashing? Oh, just what was I thinking? Well, tomorrow is another day. I strung some beads on the moon dreamcatcher , to add some interest. No, I will not hang feathers from it! 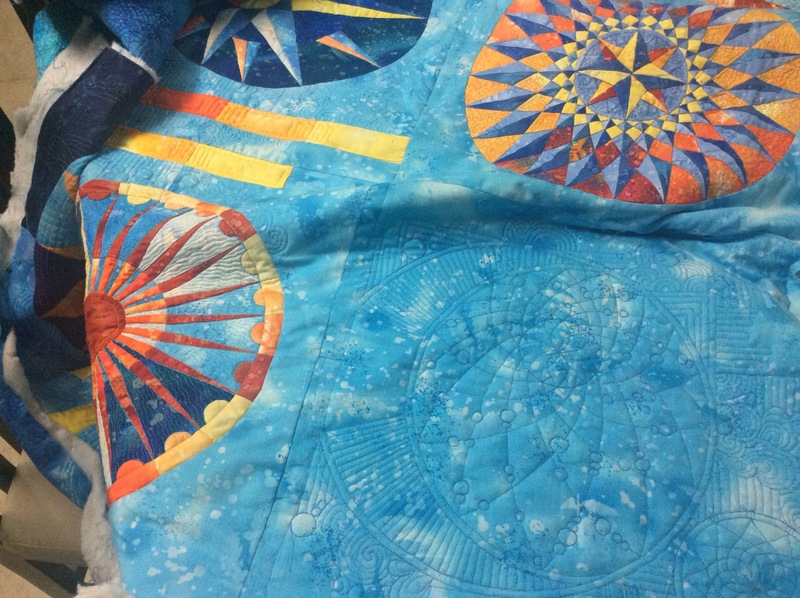 Author MadsPosted on October 8, 2016 Format AsideCategories Dreamcatcher Rainbow Round the Year, Patchwork of my life, Round the Year quiltTags free motion quilting sky stars4 Comments on Dreamcatcher – Quilting the ‘Border’!